Hey guys! We are the Fusion Team and we wanted to show you guys our first mod which has been in the works. So far it hasn't been developed very much but we have big plans for it. It is about fusing objects to form others. It will have 2 parts: Fusioncraft Technical (this one), and Fusioncraft Arcane. The ladder will not be done for a while. We will be focusing on Fusioncraft Technical.It will have machines! Hope you enjoy Fusioncraft! As of now, it is for 1.6.4. UPDATE: Releasing a 1.7.10 update with minor changes (including capes for special people) (nevermind), still working on some other things. Also starting on Fusioncraft Arcane. What does Fusioncraft Technical do? Fusioncraft Technical currently only has some basic items and block but will have some very cool features. Some of these features will be fusing items together and other things like this. Check below if you want a larger list. *Complex Æ generation, including solar collectors, fusion reactors, and coal generators. *Extremely complex fusion with with 3 tiers of fusion machines. *Sky ore is by far one of the most important materials in all crafting recipes. 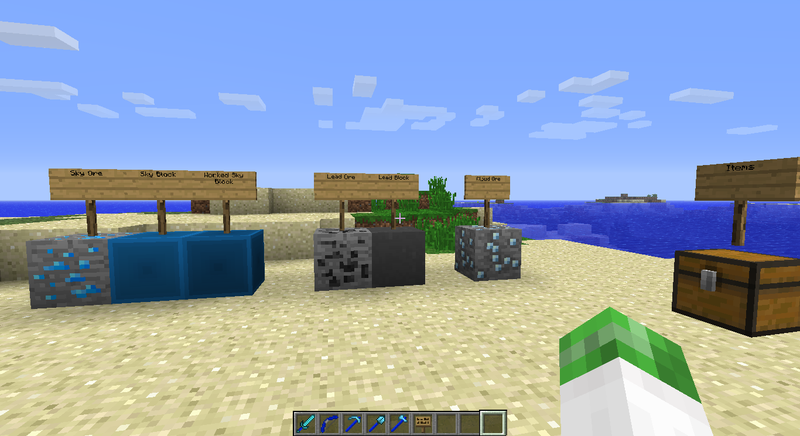 *Cloud ore in FusionCraft Technical is a somewhat unimportant material used mostly just for making the sky tool set. Both this and Sky ore start spawning at the sky limit, but not in midair. *Fusion will be available from pretty early game but will be greatly limited and simple until mid to late game. *The top tier of tool will be quite powerful, and even more so in the arcane version. *There will be many machines running on Æ, some of which are not thought out completely yet, but as of now there will be a furnace, pulverizer like machine if IC2, TE, or AE aren't installed, and other things. *Using fusion, you will be able to do things such as making tinted glass, alloys, and changes/upgrades to different items and machines in the mod. Installation:Easy as dragging the zip file into your mods folder! It requires forge (latest version)! I think more people (and me) woulld try out this mod if you added what the mod does in the post. Thank you for your feedback codebracker0. Hey Blockey I'm the texturer for the mod remember me? Hey Blockey I'm the texture for the mod remember me? Yes you are.. yes you are.. why did you need to say that? and i talk to you near every time i'm coding..
We are approaching a 1.7 release with many added features.